Unknown attackers killed a Christian man by machete and injured another in Bukoba in northwest Tanzania on Thursday, Oct. 9, according to sources. This followed another recent incident on Zanzibar island in which a pastor and his wife were attacked in their home, after being threatened that they should leave the island. In Bukoba, the two men, Dioniz Ng’wandu, 31, a secondary school teacher and a man known only as Temistores, 25, were at an early morning church prayer-meeting at the Busimbe Parish of the Pentecostal Assemblies of God, with their pastor Faustine Joseph and a fourth unnamed man. About 30 minutes after Joseph and the fourth man left the prayer meeting, unknown attackers entered the church and killed Ng’wandu, and seriously injured Temistores in his left foot; he was admitted to the Kagera Regional Hospital. Temistores said he can remember nothing apart from the masked attackers commanding him not to move, according to World Watch Monitor sources. Nothing in the church was stolen or destroyed during the attack. Local sources say the attackers had easy access to the church because it is still under construction and it has no windows or doors. Joseph told sources that church members have been receiving threats from Muslim expatriates in Bukoba, who have vowed to decrease the number of Christians in the area. Bukoba is reported to be a Muslim-dominated town of about 100,000 situated on the shore of Lake Victoria bordering Kigoma, which also has a local reputation as a centre for Islamist extremism. 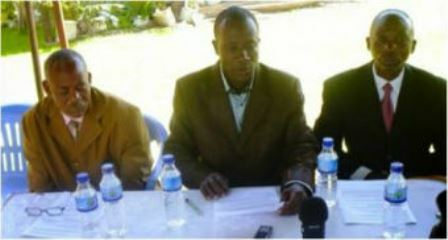 Ng’wandu was buried at his home in Kilimahewa, Mwana on Oct. 12. He leaves behind his wife, Faith, and two children, Michael, 4, and John, 2. Non-profit The Media Project, which works globally with local journalists, reported that Ng’wandu was murdered at the altar of the church and that thirty-five area pastors, led by Crodward Edwar, have asked the government to investigate the murder. The non-profit reports that no serious media coverage had been given to this latest attack in Tanzania – due to censorship, it says. Almost exactly a year ago, unknown men killed a 35 year old youth leader Elias Lunyamila Meshack, in similar manner to Ng’wandu, at an overnight church service. The assailants killed Meshack with a machete and injured two others. Again the leader of the church involved said that there was no evidence of robbery because the attackers didn’t steal anything. Meshack was killed in Pasiansi, Mwanza province on the shores of Lake Victoria. Meanwhile, a family in Zanzibar had a violent confrontation with extremists at the end of September. 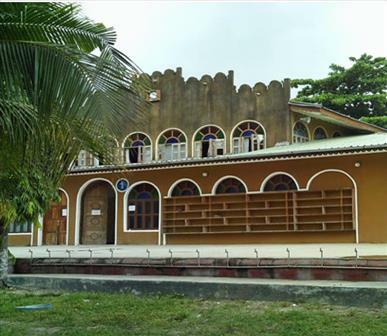 Pastor Prince Simon of Kanisa la Intanationali, Jumbi, Central Zanzibar told World Watch Monitor he was at home with wife Teresia and two young children when six attackers arrived at around 7pm. He told us they said they did not want Christians in Zanzibar and told Prince to go back to mainland Tanzania. His reply enraged them and they started beating and kicking Prince. When Teresia tried to intervene, she too was hit. Four year old daughter Asti and six year old son Festus were terrified, but neither Prince nor Teresia sustained serious injuries. Following the attack, Prince’s landlord asked the family to vacate their rented home. They are now camping in their unfinished church building, on land owned by his congregation, who’ve worshipped there for the past eight years. During this time, they’ve become used to verbal threats and demands to close the church. However, they have never been physically attacked. “We believe our attackers have been influenced by some radical sheikhs who move around the island preaching hatred against Christians,” Prince said over the phone. Prince reported the incident to the police. However when he and Teresia saw their attackers face to face at the police station, they decided to drop all charges. “We considered it to be the right thing to do. We told them in the presence of the police that we were not pursuing the matter because we did not want to create any further enmity in the society.” The surprised attackers promised to leave them in peace. Earlier this year, in two separate explosions in February, assailants bombed the St. Monica Anglican Cathedral and the Assemblies of God Church on the island. Tanzania, once celebrated as a role model for peace in Africa, is no longer being considered ‘safe’ after such increases in inter-faith violence, with little evidence so far of perpetrators brought to justice. The threat of Islamist extremism hit the world’s headlines in summer 2013 when two young British women had acid thrown in their faces. Tanzania was formed in 1964 out of the union of mainland Tanganyika and the coastal archipelago of Zanzibar. According to statistical estimates, 41.8 million of Tanzanians live on the mainland and 1.2 million live in Zanzibar. On the mainland, it is estimated that 54 per cent of the population is Christian, 31 per cent Muslim and 13 per cent ethno-religionist. There are tiny numbers of Hindus, Buddhists, and other faiths. However, in Zanzibar 97 per cent of the population is Muslim. On the World Watch List 2014, an annual list of the fifty most difficult countries in which to practice the Christian faith freely, Tanzania came 49th out of 50. The List is compiled by Open Doors International, which works with Christians under pressure around the world. .